Paseo Pottery is throwing a bash to celebrate their one-year anniversary as a pottery-powered charity. 2018 donations will be announced, and 2019 non-profit beneficiaries will be selected. The gala will be lubricated with intoxicants hand-crafted by Tumbleroot. Come vote for your favorite charity, visit artists in the studio, stock up on pottery, or sign up for a class knowing that your dollars will go to a great cause! Throughout the year, Paseo Pottery’s customers have been casting votes for their favorite local charities, and voting will continue during the party. At 7PM, the chosen non-profits will be announced and will receive Paseo Pottery’s profits for 2019. Paseo Pottery has been in business for nearly thirty years, but it’s quite possible that you’ve never stopped in. It’s not easy to find. The space is housed inside a rustic turn-of-the-century adobe tucked behind the Sage Bakehouse near the Railyard District in Santa Fe and includes both a working ceramic studio and a retail gallery. In the studio, you’ll find artists feverishly designing and creating. (Think muddy mayhem: whirling wheels, fiery kilns, and sundry clay-coated potting paraphernalia.) Finished pieces are displayed beneath the soft glow of farmhouse chandeliers in the showroom, recently remodeled in reclaimed barn wood and rebar. 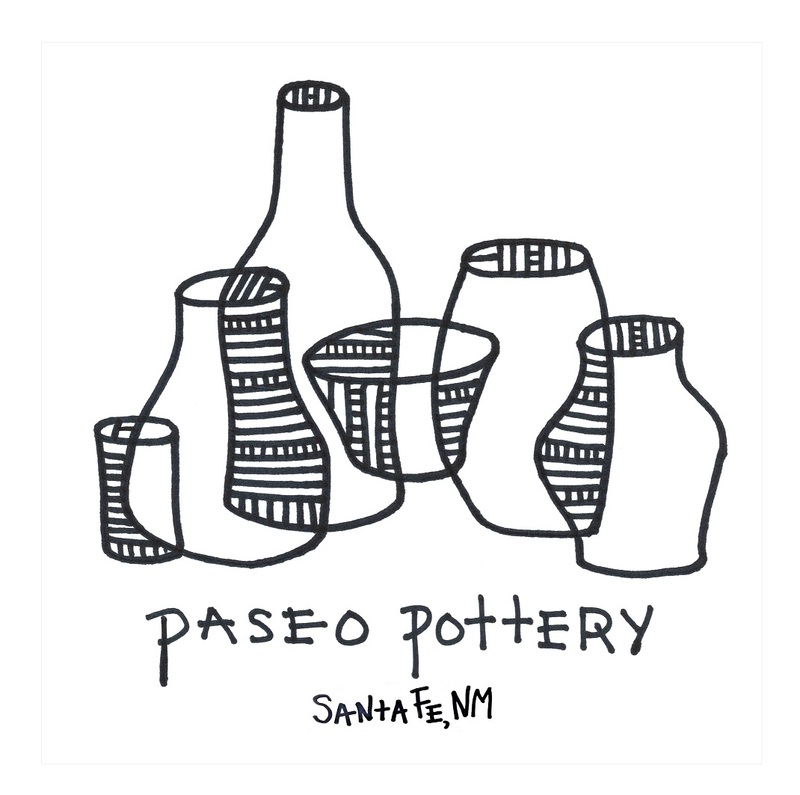 Paseo Pottery was originally founded as an artists’ co-op in 1991 by three of Santa Fe’s renowned ceramic artists—Mike Walsh, Ginny Zipperer, and Janet Williams—whose work is for sale in the gallery, along with pieces by artists Douglas Hough and Angela Smith Kirkman. Angela Smith Kirkman is the new kid on the block, only having been at Paseo Pottery for 15 years. Her work is influenced by years spent traveling around the world, and she specializes in rustic ceramic dinnerware and photography mounted on reclaimed bakery peels. Angela has recently taken over the management of Paseo Pottery and is excited to be charting it’s new charitable mission. Paseo Pottery has joined the rank of a growing number of businesses embracing a radical form of conscious capitalism: cover costs, then donate the rest in a way that will improve society. 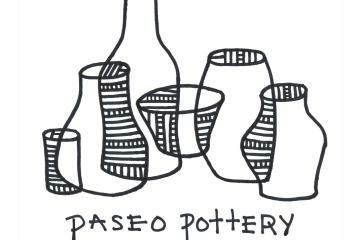 Paseo Pottery donates 100% of net profits to local charities, as chosen by customer vote. Angela’s husband is the master brewer, distiller, and co-founder of Tumbleroot Brewery and Distillery, and her pottery is featured in their new tap room on Agua Fria. Tumbleroot is currently brewing up a batch of Angela’s favorite beer along with a new cocktail to be unveiled at the opening. Take home message: DON’T MISS THIS SHINDIG! Talk about a match made in heaven. Suds + Mud. Come for the pottery, come to vote for your favorite charity, or just come to sample what’s brewing at Tumbleroot. See you there.